We tend to commit unintentional spelling errors especially while using IDEs like Visual Studio which do not ship with a spell checker. The spelling errors would look bad especially when the errors are made in comments which might find their way into documentation. This limitation can be offset by installing freely available extensions (Tools > Extensions and Updates, switch to Online section in the left pane). One such extension is Visual Studio Spell Checker. 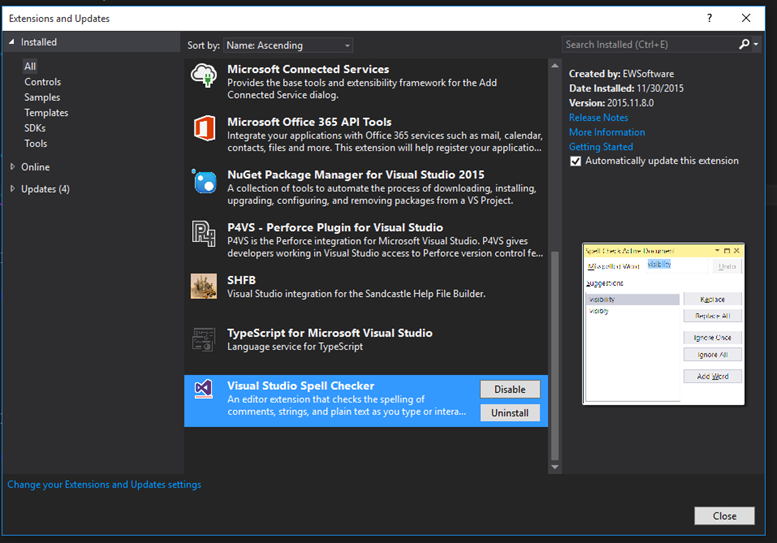 The Visual Studio Spell Checker provides good inputs, just like Microsoft Office.